Our Funarena! : Cricket: India-South Africa One-Off Wonder Derailed! Cricket: India-South Africa One-Off Wonder Derailed! What a pity! Team India went all the way to Johannesburg, South Africa to play just one match against the hosts. That too, a T20 cricket international or a three-hour cricket movie. But unfortunately even that little show was brutally cut short by rains. Winning the toss a still defensive Indian skipper opted to field first and his non-strike bowlers helped South Africa to post a mammoth 219/4 in allotted 20 overs. India started well and raced to 71 runs in about 8 overs when rains came down. As per the D/L method India were below the required runs and so South Africa were declared winners by 11 runs. The wonder worked ponders for India and us! The reasons for this one-off wonder were not far to seek. This was supposed to celebrate the 150 years of India-South Africa relations. But in fact, the landmark was achieved in 2010 itself and there were celebrations too in various ways. So this must have been preserved and reserved for ‘wonderful’ celebrations! For a change Dhoni did not mention about ‘lack of rest’ at all and a nearly full-strength team was sent with the exceptions of only Virender Sehwag and Zaheer Khan who were apparently rested. Team India made a long journey to reach South Africa on 28th March, Wednesday and the South African team too had to hurry home from their New Zealand series. Now after the ‘wonder’ Team India had again to undergo a long journey to reach home either today or tomorrow—just in time for the biggest money-spinning event! Yes! 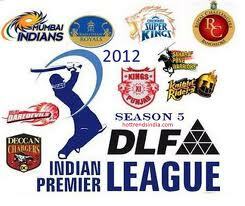 The India Premiere League T20 Cricket—Season Five (IPL-5) starting on April 4th seems to be overriding reason for this ‘wonder’. Team India had been in an ‘unprofitable’ state of affairs after their disastrous tour of Australia, their inability to reach the CB Series one-day finals there and also their inability to reach the Asia Cup final in Dhaka. So, the ‘profiteering’ Indian cricket Board naturally wanted a booster to create the right mood for the multinational, colorful and glamorous IPL-5 that is set to go on for nearly two months with as many as 76 cricket movies. Maybe the nostalgic memory of South Africa hosting IPL-2 in 2009 due to security concerns in India was another reason! But the ‘wonder’ failed them woefully and it is to be seen what marketing strategy they adopt now. To their great solace newspapers and television channels who always cry foul against IPL for India’s Test and One-Day failures are now flush with the most glossy and glamorous publicity about the event! Meantime, the ‘loyal’ Australian skipper Michael Clarke finally gave in to the IPL-5 temptations. He was signed by Pune Warriors (owner Sahara Group who recently threatened to withdraw from IPL-5 and also overall sponsorship of Indian cricket) as a replacement for recuperating Yuvraj Singh for a sum rumored to be one million dollars for just six matches. Of course Clark justified his decision pointing out the big gaps in Australian cricket schedule which only allowed him to have this aberration. With IPL around the corner, it was understandable that Dhoni refrained from complaining on lack of rest. What can one expect from a skipper who spoke about retiring from Test Cricket in the middle of test series in Australia.